Thinking about trying out a porcelain tile repair kit? These DIY tile repair kits are marketed as a quick and easy solution for improving the appearance of your bathroom or kitchen. But how effective are they really? Most porcelain tile repair kits will actually be marketed as being “ceramic tile” repair kits. While this might be confusing, the important thing to understand is that “ceramic tiles” are a general category that can be split into two groups: porcelain tiles and non-porcelain tiles. When it comes to using these kits, there’s something else you should be mindful of: the difference between ceramic tile refinishing and painting ceramic tile. Of course, the biggest difference is the end result —and you won’t get the same durability and surface gloss from a kit that you would with a professional resurfacing. 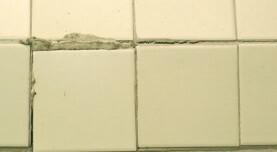 So what is a porcelain, or ceramic tile repair kit? These repair kits are fairly standard. The kits typically include simple spray enamels or rolled-on epoxy—which is notorious for being hard to apply smoothly. Ceramic tiles that get the kit treatment don’t look as good, or last as long, as professionally refinished tile. Natural Accents (shown) or a variety of solid colors. This is where Miracle Method comes in. Our porcelain tile refinishing process is not only a more effective alternative to a DIY repair kit; it’s also a more affordable and durable alternative to a messy, and time consuming replacement project. The process involves specialized equipment, primers, a proprietary bonding agent, advanced top coats and clear finishes. 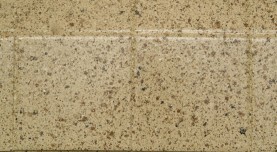 Our process can be applied to tile countertops, walls and other tile fixtures in your kitchen or bathroom. It can improve the appearance of tiles that are stained, chipped, cracked, scratched or just plain ugly. We’ll also fix dirty looking, stained grout. Another big advantage of tile refinishing: the process completely seals the grout lines. If you’re ready to fix your titles, or just want to learn more about Miracle Method’s refinishing process, give us a call at 1-888-271-7690.